Posted January 2, 2018 by Bob and Jane Kinzie & filed under Industry News. The importance of having backup generators in nursing homes and assisted living facilities has become paramount following the devastation of Hurricane Irma this summer. The category-4 hurricane tore through Florida’s gulf coast this past August, leaving several facilities without power and several residents defenseless against Florida’s summer heat. For one facility in particular, the Rehabilitation Center at Hollywood Hills in California, the extreme conditions cost the lives of 14 of their residents, who succumbed to symptoms caused by heat exposure. State regulators have since shut the facility down, and the deaths of 12 residents were deemed homicides, though no charges have been filed against any one individual as of this post. This senseless tragedy could have been averted if the facility had invested in a backup generator, which would have allowed for the building’s air conditioning system to remain functional. Following the tragedy at Hollywood Hills, Florida state lawmakers took swift legal measures to ensure that it would become the exception, not the rule. On Sept. 16, Florida Governor Rick Scott issued an emergency rule requiring nursing homes and assisted living facilities to install backup generators with 96 hours-worth of fuel within 90 days. 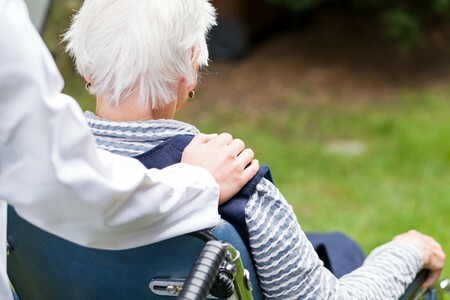 The Florida Department of Veteran’s Affairs acted quickly and, in early October, were approved for $3 million in funding to install generators and make all veteran’s nursing homes compliant with the rule. In November, Florida State Senator Gary Farmer, D-Lighthouse Point, filed State Senate Bill 896, which would make Gov. Scott’s rule state law and impose other measures to impose more oversight on nursing homes and assisted living facilities. Though some detractors of Sen. Farmer’s bill argue the measure is too large a financial burden to impose on these facilities, it begs the question: isn’t it costlier to put lives at risk? If you want to learn more about how Kinzie Backup Generator Systems can help you protect your customers and theirs, give us a call or contact us online today!